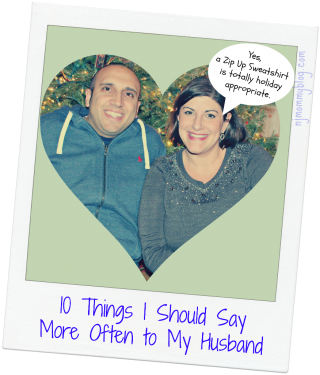 Inspired by the humorous Valentine’s Day card my hubby gave me, here is my list of 10 Things I Should Say More Often to My Husband. Posted in Laugh a Little. Tagged love, marriage, parenting, relationships.